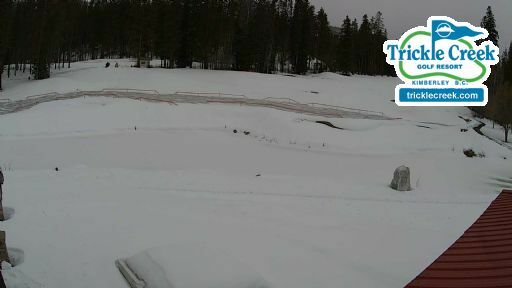 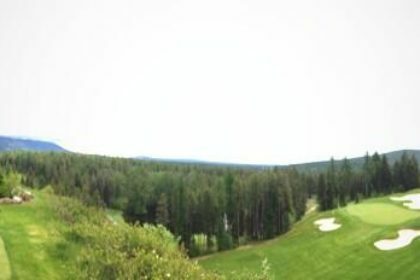 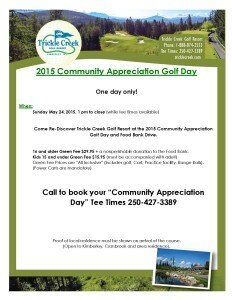 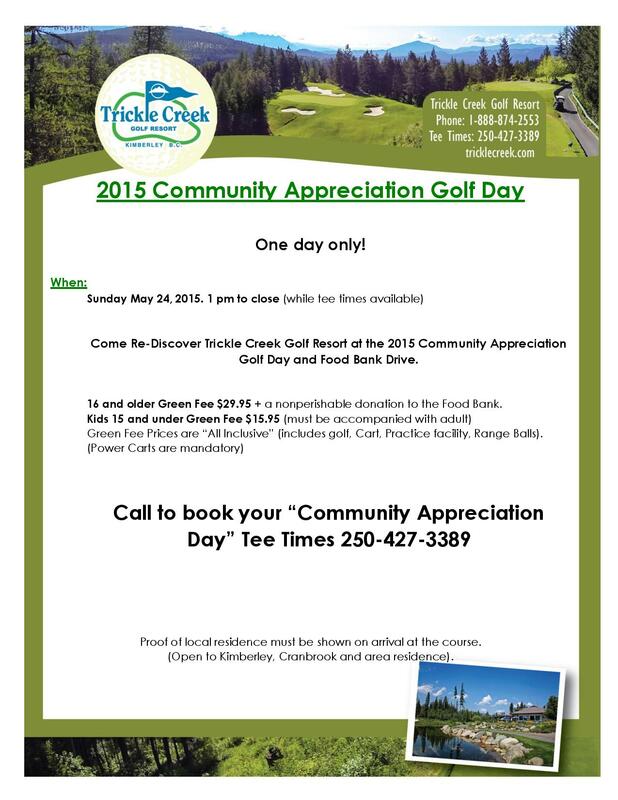 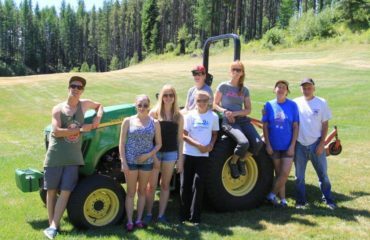 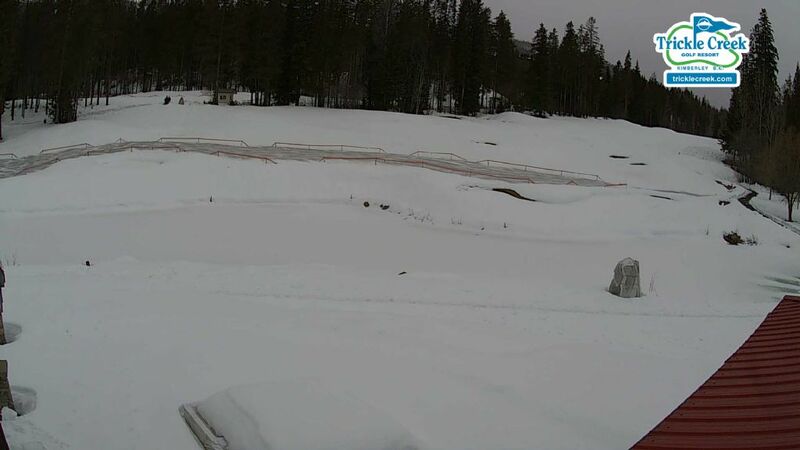 Come Re-Discover Trickle Creek Golf Resort at the 2015 Community Appreciation Golf Day and Food Bank Drive. 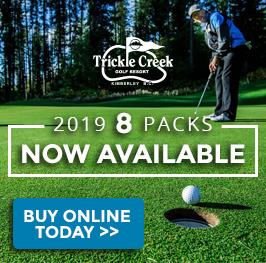 We’ll have special pricing in place for locals – 16 and older Green Fee $29.95 + a nonperishable donation to the Food Bank, Kids 15 and under Green Fee $15.95 (must be accompanied with adult). 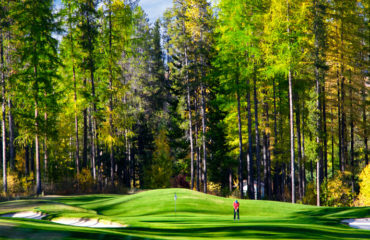 Green Fee Prices are “All Inclusive” (includes golf, Cart, Practice facility, Range Balls).